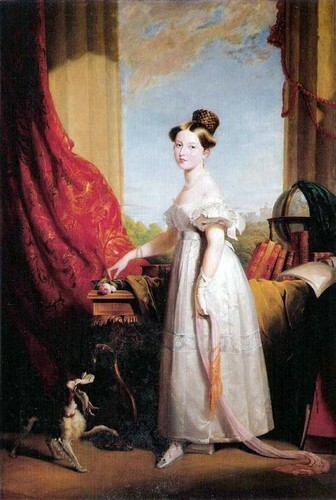 Princess Victoria with her spaniel Dash, by Sir George Hayter, 1833. . HD Wallpaper and background images in the Kings and Queens club tagged: photo queen royalty monarch monarchy rengland united kingdom victoria victoria i xix century. This Kings and Queens photo might contain kirtle and polonaise.